Most reports of sensory symptoms in autism are second hand or observational, and there is little evidence of a neurological basis. Sixty individuals with high-functioning autism and 61 matched typical participants were administered a sensory questionnaire and neuropsychological tests of elementary and higher cortical sensory perception. Thirty-two percent of autism participants endorsed more sensory sensitivity items than any control participants. Both groups made few errors on elementary sensory perception items. Controls made few errors on higher cortical sensory perception items, but 30% of the autism participants made high numbers of errors. These findings support the common occurrence of sensory symptoms in high functioning autism based on first person report, and the presence of neurological abnormalities in higher cortical sensory perception. 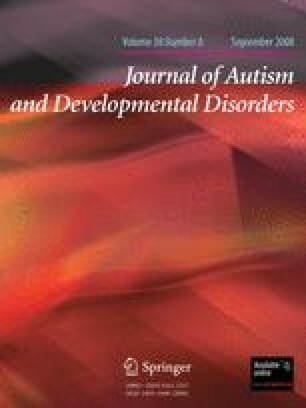 We would like to thank all of the volunteers and their families for their enduring patience and for taking their time and making their best effort to complete these questionnaires and participate in this and other research studies for the benefit of all those affected by autism spectrum disorders. We also thank Kimberly Bodner for her assistance in preparation of this manuscript. We acknowledge the support of the NICHD/NIDCD Collaborative Program of Excellence funding without which this work would not have been possible (grant # HD35469).